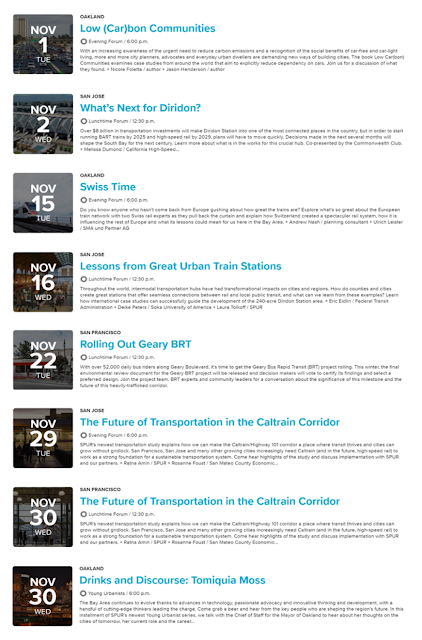 Below is our scheduled coverage of November 2015 SPUR events. Headquartered in San Francisco, and with offices in Oakland and San Jose, SPUR is an amazing organization dedicated to S.F. Bay planning and urban research, and an invaluable resource for regional policy and planning scholars. 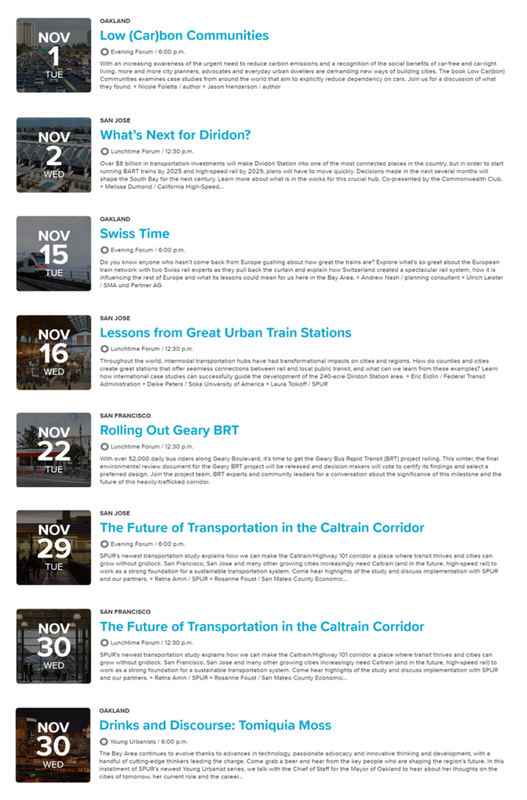 TransportiCA covers many of SPUR's transportation, sustainability, energy and transit-oriented development events.